In many parts of Canada, the final month of fall started off feeling a lot more like winter. At one point early Thursday morning, 11 of Canada’s 13 provincial and territorial capitals were experiencing below-freezing temperatures. 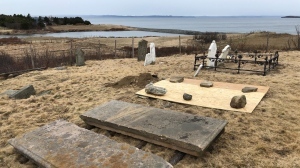 The exceptions were St. John’s, N.L. – which just barely snuck above freezing at 0.1 C – and Victoria, where it was a balmy 8 C.
Record-breaking cold was reported in dozens of communities across Eastern Canada, including Toronto, Ottawa and Montreal. 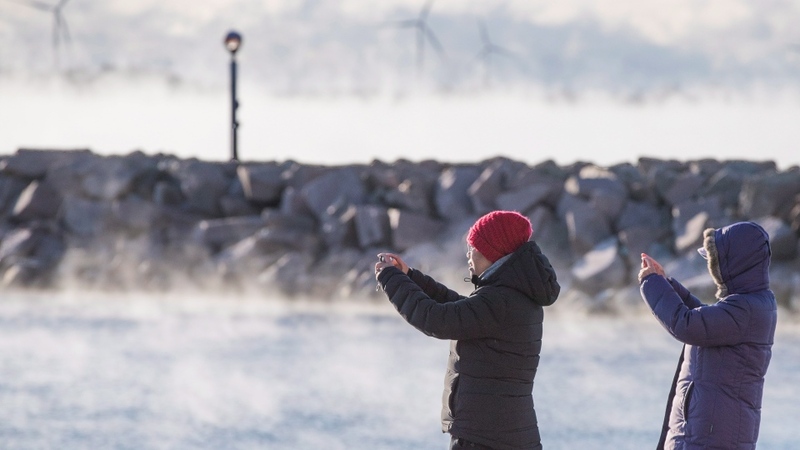 Environment Canada said more than 20 communities in Ontario experienced temperatures Thursday morning colder than they had ever recorded on Nov. 22. In Toronto, a temperature of -15.4 C was recorded at Buttonville Municipal Airport, breaking the previous daily record of -14.1 C from 2008. A much older record was broken in Ottawa, where thermometers at the Canadian Department of Agriculture plunged to -18.7 C – more than four degrees colder than the previous Nov. 22 low, which was set in 1895. Temperatures below -20 C were recorded in northern communities including Sault Ste. Marie and North Bay, and the temperature fell below -30 C in the northwestern Ontario communities of Geraldton and Williams Lake. Montreal’s low temperature of -17.7 C -- a far cry from the 4 C that November 22 usually brings -- was more than three degrees colder than the previous record, which had stood since 1972. And that doesn’t factor in the wind-chill, which is making much of Quebec, Ontario and the Maritimes feel closer to -25 C.
Record Nov. 21 lows were set in three communities in Newfoundland and Labrador, including in Wabush Lake where temperatures fell to -31.7 C.
The cold weather has left homeless shelters scrambling, with freezing day plans trying to go into effect weeks earlier than anticipated. But the cold weather was a boon for Ontario’s icewine industry. Grape harvesting activity began Wednesday night – earlier in the year than ever before, according to a spokesperson from Brock University. While most parts of Canada are expected to return to relative warmth in short order, the heat-up will likely be quite short-lived in Manitoba and Saskatchewan. Daytime highs there are expected to fall to nearly -10 C by Saturday and remain there at least through Monday. In the eastern half of Canada, temperatures are expected to rebound as the weekend arrives. Toronto is expected to see a high of 7 C on Saturday, with the same number in the forecast for Montreal on Sunday and Halifax on Monday. Forecasts call for Edmonton and Calgary to see temperatures flirting with the freezing mark on Sunday, then rising significantly as the work week begins. As for the one capital to escape this early blast of wintry weather, highs between 8 C and 11 C are forecast for Victoria for every day through Nov. 28. But there is some solace for Canadians casting a jealous eye westward as they shiver through November: Those temperatures are expected to come with lots and lots of rain.